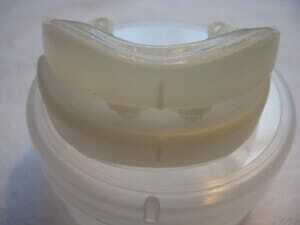 MEDiTAS Ltd is at it again with yet another anti-snoring device that rivals its Easifit and Custom versions. 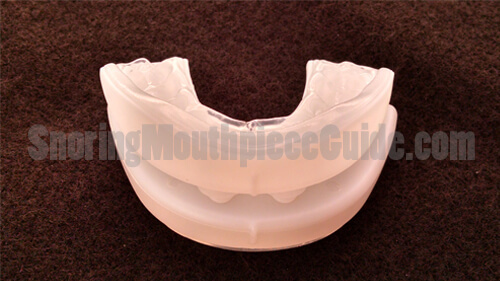 This design combines the best of both worlds as it includes the ability to create a mold at home while allowing the ability to make jaw advancement adjustments. 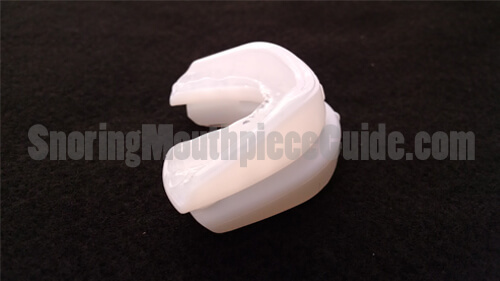 The company who manufactures this mouthpiece also has a line of other products including two other mouth guard like MAD’s and a chin strap support. They sell their products worldwide in the United States, Australia, Netherlands, Canada, Spain, France, Ireland and Italy. MEDiTAS has been doing business since 1998 which is an unusually long time when compared to many of its competitors in the snoring solutions business. The SleepPro Contour is best described as a hybrid between the Custom version and the standard version. Upon arrival, it comes in two pieces which are custom formed at home in your kitchen using hot water. Here is the basic process used to create a custom unit. Boil a small pot of water on your stove top and pour into a small bowl. Insert the handle into the device as instructed and submerge the Contour in boiling hot water for 3 minutes before removing. Once cool to the touch, place unit in your mouth and bite down with your lower jaw in the forward position. Use a sucking motion to remove excess air while pushing on your cheeks all around the device. After 40 seconds, remove and place in icy cold water. Once cold you may remove the handle that was previously inserted. Adjust the strap to the desired level. The manufacturer recommends that you start somewhere in the middle and gradually increase the setting until your snoring stops. The Self Fit Adjustable model mimics some of the same oral appliances that are commonly issued by dentist or doctors. Having the ability to make up to seven different incremental adjustments sets this unit apart from its competitors. There are only a handful of others who offer this feature combine with the boil and bite technology. 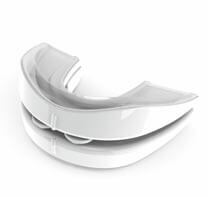 Since almost everyone responds differently to mandibular advancement device settings, having the ability to adjust the advancement makes this product highly effective as it should work for most people. There are numerous devices out there that claim to be one size fits all. These products often turn out to be a disappointment as many complain of jaw and gum pain after waking in the morning. While there will be some degree of discomfort with any piece, the Contour minimizes this discomfort by allowing you to control just how far you move your jaw forward. If you find the pain unbearable, try replacing the straps with shorter ones to allow the lower jaw to recede a bit. Strike a balance by finding a comfortable position that is in fact effective. For most, this will be the adjustment that is slightly beyond the middle point. One of the most commonly asked questions is “how much does it cost?” The unit price is $129.95 while shipping cost $7.50. If you have recently purchased any other SleepPro product you may be eligible for a 20% discount by simply emailing the company. It comes with a 30-day money back guarantee which means that in this case, they will refund 50% of the purchase price if you are not satisfied with your purchase. 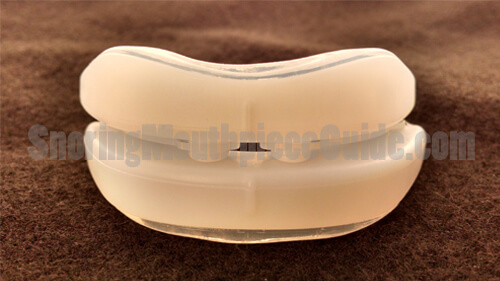 While the Contour is not the cheapest MAD on the market, it is uniquely designed and highly effective when it comes to snoring prevention. 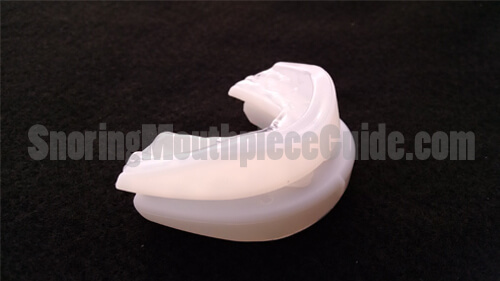 I recently had a chance to try out this anti-snoring device. From start to finish, I documented everything in the video below from the initial fitting to my follow-up opinion. While unboxing my Sleeppro, my initial thoughts were “how many pieces does thing have?”. After reading over the instructions, it became clear that most pieces were only used one time while others were never used at all. I found the fitting process to be much easier than initially anticipated. Here are the steps that I followed to fit the device. Snap the fitting handle into the notches on the lower tray while paying close attention to the method that you use while snapping into place. I would recommend going in at a 45-degree angle and then snapping down. The trays are marked both “upper” and “lower”. 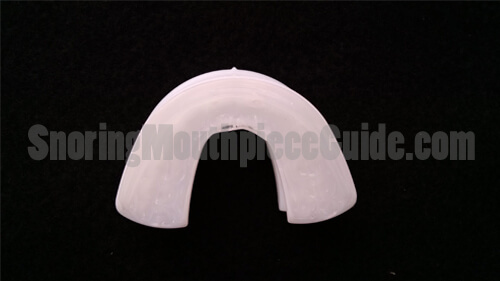 Use the same method described above to snap in the upper dental tray. Completely submerge the device into a cup of hot water for 3 minutes. This will soften the moldable plastic gel inside of the tray. Remove the device using a pair of tong and allow it to sit for a few seconds. Carefully insert into your mouth. Ensure that it’s not upside-down. Bite down and hold for 45 seconds. Remove from your mouth and drop into a cup of cold water. Allow to sit for 2 minutes. Remove from cold water and carefully remove the fitting handle. Replace handle with a set of matching bands. Start with the midrange bands. After using for one night, make adjustments by replacing the bands. For more advancement, use a shorter band, for less advancement use a longer band. In the end, the process turned out to be much easier than I would have ever imagined. Although it did stop my snoring during the first night, I did wake up in the morning with a sore jaw. Because of this, I replaced the bands with the next larger size. Doing so fixed the soreness issue and the next 6 nights were amazing! It not only effectively controlled my snoring, but it was very comfortable. Overall, the Contour had a low profile that allowed me to close my mouth to a comfortable level. There is a thin air gap between the upper and lower tray that allowed a massive volume of air to enter my mouth. The molded plastic hugged my teeth very closely, helping to keep it in my mouth. I did not have any issues with it remaining in my mouth the entire night. Overall, I really like the Contour because it has several desirable features including comfort, breath-ability, and adjustability. 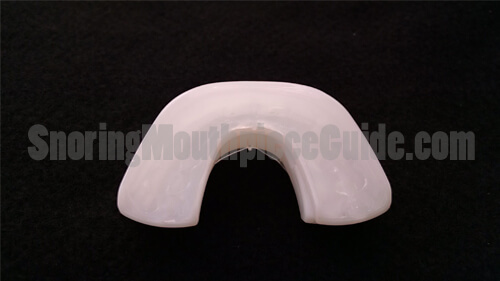 Being one of the most versatile MADs on the market, many people claim that this is the perfect anti snoring mouthpiece as it can be fitted right in your home and is adjustable. Most people report being satisfied with the comfort level and ability to breathe through the mouth while sleeping. 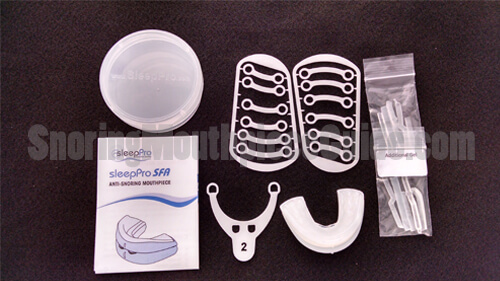 It looks as if SleepPro has found the perfect hybrid device that is effective, long lasting, and easy on the gums and jaw. Others disagree and say that it is too bulky and causes them to drool excessively while sleeping. Some have a difficult time during the fitting while others say it’s not effective. While these types of complaints do exist, it seems as if they are few and far between. 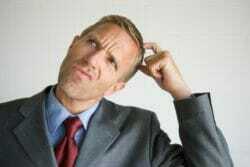 When reading customer reviews on the net, one should be aware that competitors often leave negative feedback in an effort to steer customers towards their product. Likewise, you will find that some manufacturers leave feedback on their own products giving their products glowing reviews. For this reason, it is best to learn about the product and read user reviews with a grain of salt. When it comes to snoring prevention, this is perhaps one of the best products available. 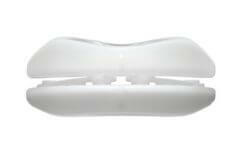 I prefer a unit that has holes which allow for breathing, one that is soft and comfortable and one that is adjustable. Perhaps the only way to improve this MAD is to offer the same design with a lab molded option. This would increase the overall price but will create a more precise piece that would be thinner. While fitting one may be somewhat of a challenge to the average user, this process only has to be done once. 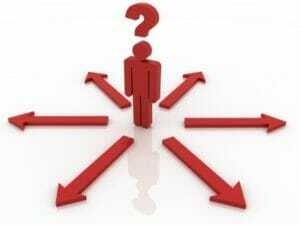 Keep in mind that you are able to make adjustments to the advancement at any time. Simply remove the existing straps and replace with a shorter or longer one. My recommendation is that you give the SleepPro Contour a try if you are able to afford the extra expense. If $127 is too much there are several simple boil and bite devices that may work for you. You may also want to consider the Good Morning Snore Solution (further info can be found here). The GMSS will cost you about the same amount as the SleepPro Contour but requires very little room inside of your mouth. It actually works by holding your tongue forward which has been clinically proven to work just as well when it comes to preventing snoring as your standard mandibular advancement device. I also own one of these and prefer it to the Contour because it doesn’t require any fitting or assembly plus it simply fits on the end of the tongue and is held on by a gentle suction. I’ve recommended the GMSS to my father and grandfather who snore just as much as I do and it worked wonders for all three of us.